Another "oldie but goodie" from my 1970's Betty Crocker Cookbook. This one has been around a long time, because the first time I ever made it I used my mother's 1950's Betty Crocker Cookbook. 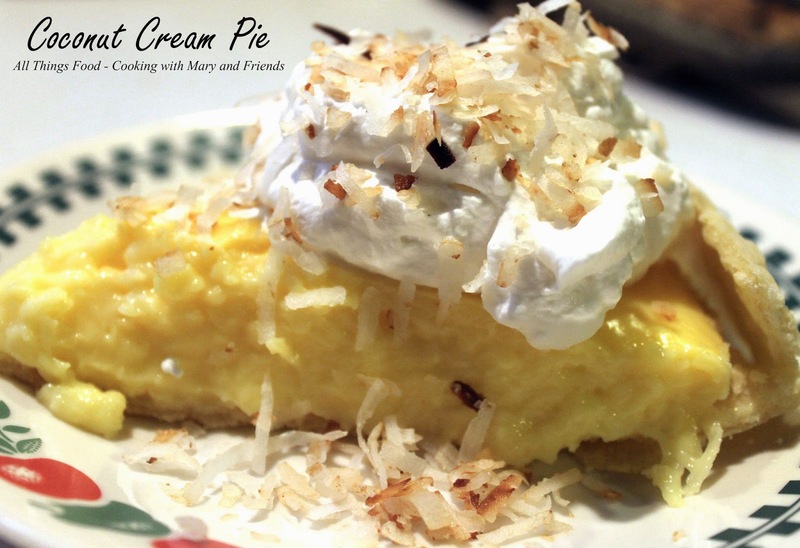 Homemade vanilla pudding base with flake coconut added, topped with fresh whipped cream and toasted coconut, it's a family favorite. In a large mixing bowl, whisk flour and salt together. Add shortening and cut in with fork or pasty blender until it resembles course crumbs. Add ice-cold water and stir until well combined, being careful not to over-work dough. Place the dough on a lightly floured board and using a rolling pin dusted with flour, roll it out in to a large circle. Transfer pie crust to 9" round pie pan, trimming and crimping edges, or push edges down all around the pie pan with the tines of a fork dipped in flour. Pierce the bottom of the pie crust in several places and bake in preheated 475 degree oven for 8-10 minutes. Remove from oven and let cool completely. In a large saucepan, whisk together the sugar, salt, and cornstarch. Stir in milk and heat over medium-high heat, stirring constantly, until mixture thickens and boils one (1) minute. Remove from heat and stir a little of the mixture into 3 egg yolks, slightly beaten. Then blend into hot mixture in saucepan. Boil 1 minute more, stirring constantly. Remove from heat and blend in 1 tbsp butter, 1 1/2 tsp. vanilla and 1 1/2 cups coconut (reserving 2 tbls. for toasting). Pour filling into cooled pie crust and refrigerate 2-3 hours. Toast reserved 2 tbls. 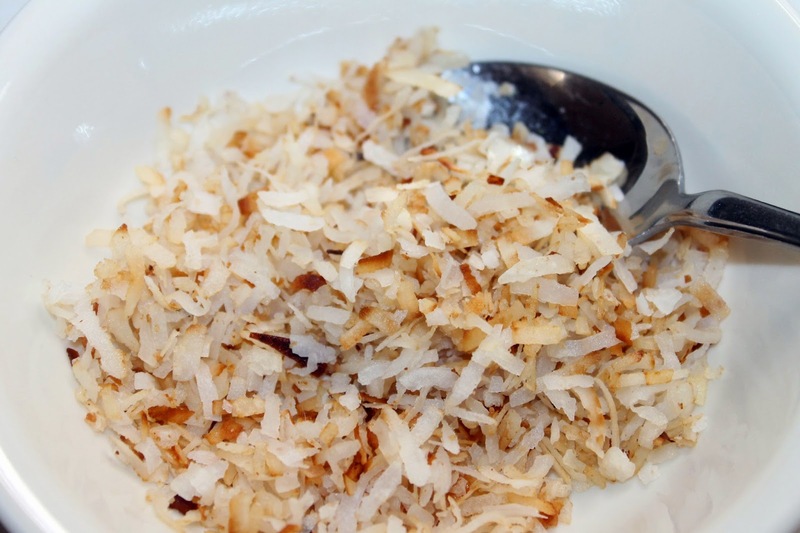 coconut in a small fry pan, stirring often, until coconut is just browned and slightly toasted. Remove from heat and set aside. Beat 1/2 cup heavy cream, sugar and vanilla until stiff. Spread over top of cooled pie and sprinkle toasted coconut over top. 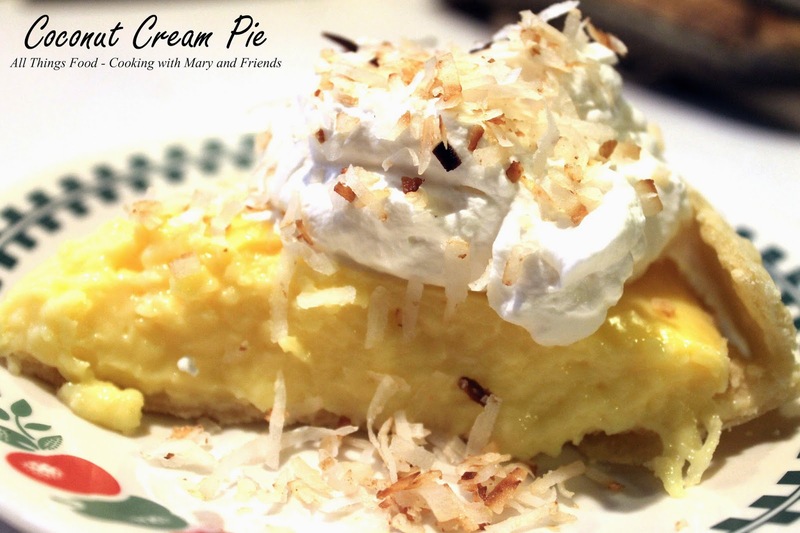 The whipped cream can also be added to individual slices of pie if desired.